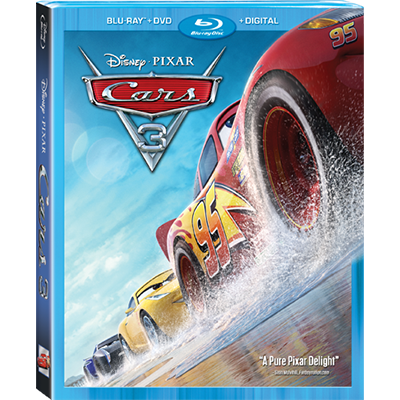 Along with the release of Cars 3 on Digital on the 24th of this month and on Blu-ray on the 7th of November, we’ll be able to see the new Cars 3 short Miss Fritter’s Racing Skoool. Miss Fritter, the strong and self-assured school bus voiced by Lea DeLaria, will take centre stage in this mini-movie, and Pixar have come up with a characteristically creative way to advertise it: you can talk to Miss Fritter herself on Facebook Messenger! You’ll then get to do a fun quiz – there are lots of different questions you might get asked – and at the end, you get rewarded with a teaser for the new short! It’s great to see Pixar trying out some new advertising techniques, and this one was particularly fun to experience. If you have Facebook Messenger yourself, then it’s well worth a quick test-drive – you even get a certificate. A lost and found box on the school playground looks very ordinary on the outside, but it’s teeming with life and magic within. Like most of Pixar’s canon, Lou personifies an inanimate object, or in this case, a handful of lifeless, every day objects. All the lost toys and clothes are assembled into a playground guardian, who is otherwise invisible beneath. Lou is one day challenged by a bully who swipes the belongings of the other children. What begins as a funny battle between Lou and J.J. (the bully), evolves into a tender, moving story about compassion. Bullies hurt others because they’ve been hurt themselves. But rather than simply excuse J.J.’s behavior, Lou offers him the opportunity to give and receive compassion. A wordless short, Lou is one of the studio’s most innovative creations. 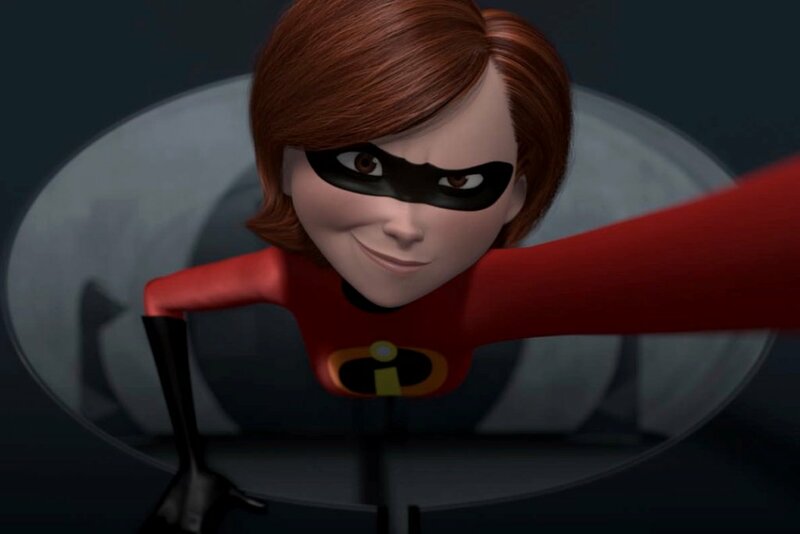 As Dave Mullins revealed at the press junket last week, the character was animated entirely by hand, with “no computer shortcuts or simulations.” The animation here is truly impressive, as Lou morphs into a variety of clever shapes and disguises. You can catch a glimpse of Lou’s immense charm in the exclusive clip below. 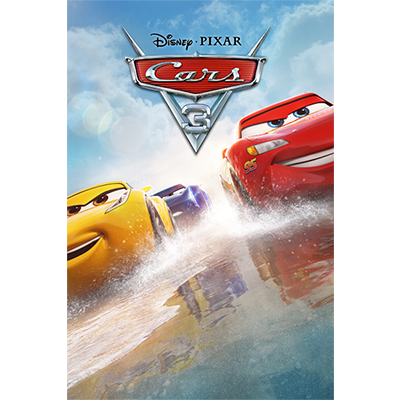 See Lou with Cars 3 this Friday! 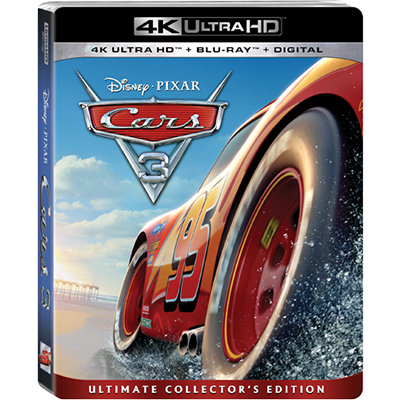 The race towards Cars 3 is almost over, and with all these teasers, posters, and interviews it’s definitely been an exciting ride! Dolby Cinema is currently holding a competition where you could win an EXCLUSIVE poster. 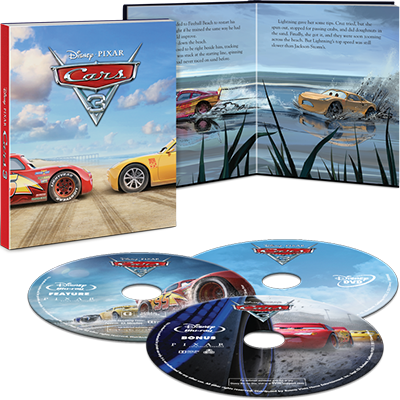 It really captures that striking Route-66-inspired scenery the Cars universe is set in. Comment on their Facebook post for a chance to win (follow the link for full terms and conditions). Have you already got your tickets booked? Dolby Cinema offers an amazing theatre experience with high quality Dolby Vision imaging and moving Dolby Atmos audio. 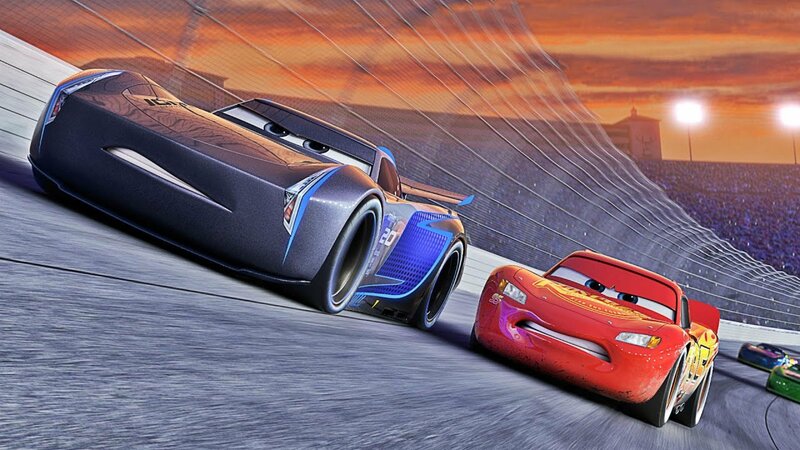 Cars 3 is bound to be Pixar’s most stunning entry to the Cars franchise yet. Find your nearest Dolby Cinema here.